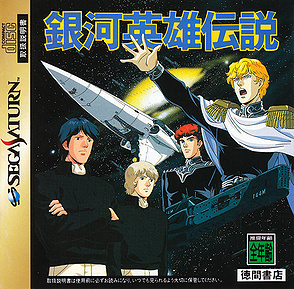 So, Zeonic school semester is now over, and he decides to celebrate the occasion with playing the Legend of Galactic Heroes game he got at Nashicon that he now… kinda wonders if it was worth getting. So for a constant 38 minutes, you get to see Zeonic frustration over Japanese console strategy games that is still a challenge to him to this day. Also after doing LOGH (aka, just giving up after getting his fleet destroyed), Zeonic pops in his Sega Saturn copy of Mobile Suit Gundam, which became a more enjoyable experience. If you want to see more of Zeonic streaming games online, check out our twitch channel here. Till next time!! This entry was posted on 04/28/2015 by zeonicfreak. It was filed under Anime, Video Games and was tagged with Legend of Galactic Heroes, Lets Play, Mobile Suit Gundam, Playing Games, Sega Saturn.